Mattress toppers are a great way to get extra life out of an old or new mattress, and they provide an extra layer of comfort for all users. Choosing the best mattress topper depends on personal preferences, as there are a number of variables that different toppers have to offer. While you can get a basic egg crate mattress topper at most retailers, there are much better options on the market if you are willing to spend more money. Investing into your sleep is one of the most cost-efficient ways to increase your daily energy and give you the boost you need to succeed in life. Added features of high-end mattress toppers include increased thickness, hypoallergenic protection, gel-infused cooling, and other qualities that will help you get a good night’s rest. For an in-depth guide to the best mattress toppers on the market have a look at our list of the 10 Best Mattress Toppers Available to Buy Online. You will have to think about what you are looking for in a mattress topper. If you have back pain and need a firm sleeping surface, you should be careful that you are not buying a material that is meant to provide a pillow-like cushion. If you are someone who suffers from respiratory problems like asthma, bronchitis, or allergies, you should look for a mattress that has hypoallergenic properties which will protect your mattress from absorbing airborne particulates. If you live in a warm climate where you find yourself sweating or getting uncomfortable from overheating while sleeping, you should look for a mattress topper that is either gel-infused or made of vinyl, because those will retain less heat than something that is pure foam. If you need an extra layer of comfort but do not want to drop a lot of money, you should be careful to find a mattress topper that is a good value, because the price for a high-end topper can vary from around $50 all the way to $300 and beyond. The best way to choose a great mattress topper is to consider your situation and needs, and then do some research. One of the inconveniences of shopping online is that you cannot try out a mattress topper before you purchase it, though many come with money back guarantees if you are unsure and want to try the product out before you commit to it. You should also be aware that some foam products contain toxic materials that can cause unforeseen health problems if you use them frequently. Fortunately, there are certifications that ensure consumer safety when they are buying a foam product. 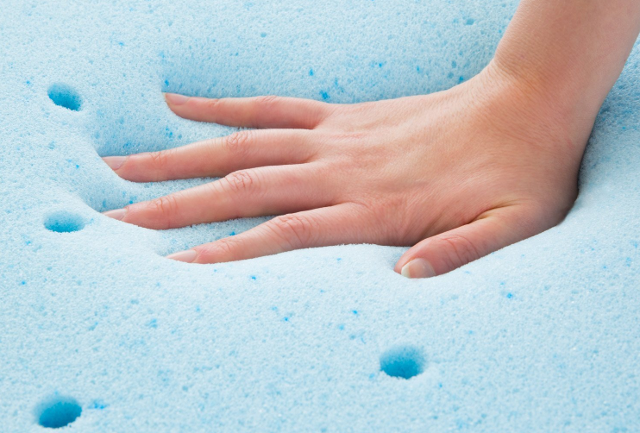 The United States Consumer Product Safety Commission certifies whether products that hit the market are safe or not, but more specifically for foam mattress toppers there is CertiPUR-US certification. CertiPUR-US certification means that the foam is made without ozone-depleting substances, unsafe flame retardants, heavy metals (like mercury and lead), formaldehyde, and certain phthalates, while also ensuring that the foam has low volatile organic compound emissions. If your mattress topper is certified by CertiPUR-US, that means you are choosing a quality product that is safe for you, your family, and the environment.